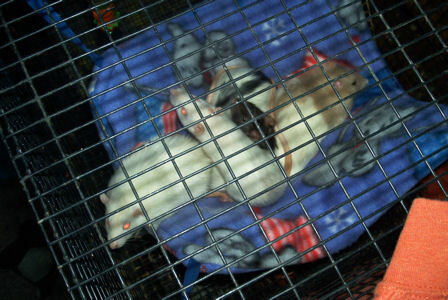 with cute ratties on them from our designs. Diaries of our ratties here. This is also my pets page of precious pets here and gone. Rat Shows we have Been at and pictures too! We had a blast at Yellowstone. Buffalo were everywhere. We even saw Mountain Goats, Grizzly's, a Black Bear, Sand Hill Crane, Pelican, Badgers, Elk, Pronghorn, Deer, Uinta Squirrels, Chipmunks, Clark's Nutcracker and more. If you want to see some of the 160GB worth of images I took (not all will be posted of course) you can go to my other website - http://www.jarmanphotography.net. Head on over to our Square site below and enter the code SUMMER20% upon checkout. You will even get 20% off on your shipping! It even applies to the Sterling Silver Paw Prints of a favorite Rattie/Mouse of yours this time. Check Out Our Store On Square! through PayPal. Please put "Rattie Order" in the subject line for easier identification of your order. 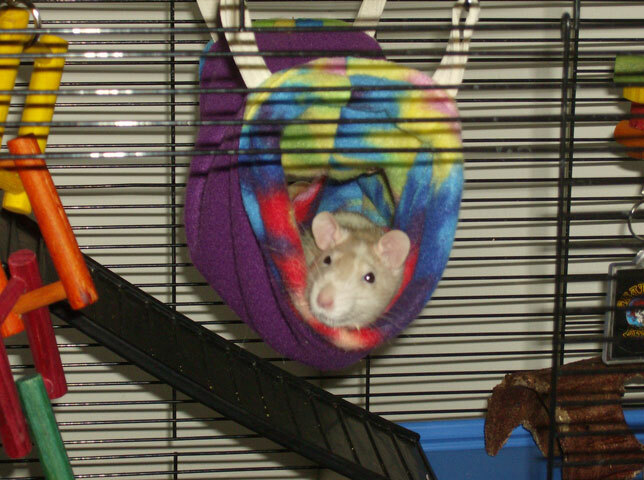 Here is Sharon's Luna who just recently received a new Heavy Duty Hide 'n Peek Hammock (H200). Her sister is also in the photo and they often share the hammock. 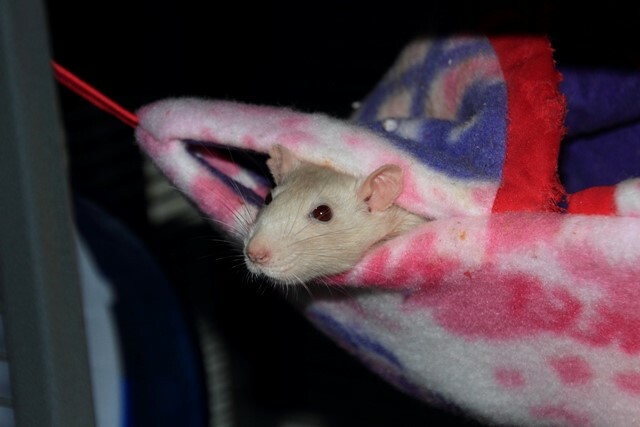 Judy loved to sleep in the hammocks while using the peek hole to keep an eye on everyone. Other than purchasing items for your own little furry friends, if you have a pet store or online store and would be willing to sell our items, we would love to talk with you. Or possibly know a contact at a store, please feel free to pass it on. Also selling on Cafe Press as Rattieworld.